Ulej sums up results: 137 local crowdfunding campaigns collected over $280K. Imena calls for applications to fund social projects and organizations. Social Weekend competition is launched for the 11th time. The first Repair Café is held in Minsk. New guides for CSOs: Belarusian practitioners share the experience of how to run social media and attract local resources. Liberal Club invites youth to participate in the “Belarusian Lego” essay competition. BAJ: 101 journalists detained in 2017. Access to the opposition website Charter97.org blocked in Belarus. BPF Youth head expelled from the university. Electby campaign announces a contest for “Belarusian Absurdity of the Month”. This and more in the fresh Belarus civil society digest. Ulej sums up results. From its inception in 2015, a Belarus’ crowdfunding platform Ulej.by has been facilitating the successful implementation of 137 crowd campaigns. These are books, theatrical performances, designer things, social projects etc. The authors of the projects collected over $280K. Imena calls for applications to fund social projects and organisations. The Imena platform collects money for projects thanks to resonant materials on the Imenamag.by website. This year, the Imena has a department for working with projects. Since its inception in 2016, the Imena has supported 25 projects and collected donations of over $230K. Social Weekend launched for the 11th time. Any Belarusian is eligible to apply for the Social Weekend, a national contest of social projects and get all the necessary resources – money, knowledge, and social capital. Deadline for applications is 28 February. Since 2013, Social Weekend got over 2,000 unique ideas, 200 were supported from local sources. The first Repair Café held in Minsk. On 21 January, in Minsk, Repair Café was opened for everybody who wanted to repair household devices, bicycles, clothing etc. for free. Similar events are a part of the international movement spread in 200 cities of different countries around the world. The objective is to reduce waste, to maintain repair skills and to strengthen social cohesion. Award ceremony Zrabili! / Done! recognised the best community initiatives on Belarus. On 13 January, in Minsk, over 50 initiatives were awarded for the successful activities during 2017. 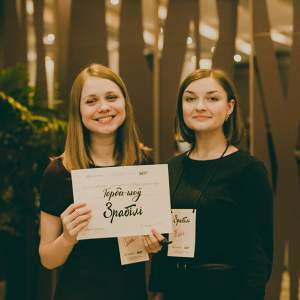 The award was founded and given for the second year in a row by Office for European Expertise and Communications (OEEC), CityDog.by and 34mag.net under the joint initiative, which expands the visibility of grassroots activism in Belarus. 101 projects participate in the #Paskarenne contest. The #Pascarenne / Acceleration contest, initiated by a non-profit platform Talaka, includes ideas that “cause pride for the country in any field”: from social and urban to entrepreneurial and technological. Winners will be named in February, following the results of people’s and expert voting. The prize fund is $5K. Case studies in community development. The SYMPA Centre and the NGO Assembly released a collection of case studies, which describe the grassroots activism in different Belarusian locations in 2016-2017. The manual contains the stories about the organisation of the courtyard’s festival, repair of roads, changes in street names, etc. Guide: How CSOs should run social media. New Ideas Centre releases a guide that explains how CSOs can operate effectively in social networks. The guide is available online and created under the Public Participation project, that unites 10 organisations working together to support civic activity in Belarus, expanding innovation, exchange of experiences and mutual learning. Manual: How to raise funds at the local level. ACT NGO presents a fundraising handbook for CSOs that describes the key local sources of funds, methods, and tools. The book also includes cases of CSO cooperation with business structures, legislation aspects, as well as practitioners’ recommendations. Flying University invites to new courses. The University offers 8 open courses involving contemporary issues, associated with the rapid technological and innovative development. The Flying University is an initiative aimed at creating in Belarus the space and environment with free thinking; it is a movement towards a modern University in and for Belarus. Applications are accepted until 5 February. Belarusian Lego essay competition. Liberal Club invites schoolchildren and students to participate in the 5th annual essay competition. The theme of this year is Globalisation vs Belarusisation. Thirty winners will receive an invitation to a three-day educational school. The papers should be sent by 28 February. Opposition website Charter97.org blocked in Belarus. The Ministry of Information explains its decision by the reason that the website had published information the dissemination of which is able to harm the national interests of Belarus. The Belarusian Association of Journalists protests against blocking access to social and political websites. In 2017, the persecution of journalists increased (infographics). According to Belarusian Association of Journalists, 101 journalists were detained last year (to compare: 13 cases in 2016). The total sum of fines, imposed on journalists for cooperation with foreign mass media in 2017 is €24,235. Belarus in Focus 2017 is accepting articles. The international competition for journalists writing about Belarus in international media is annually organised by Belarus in Focus Information Office in partnership with Press Club Belarus. This year the competition takes place for the 7th time. The deadline for applications is 15 March 2018. BPF Youth head expelled from the university. 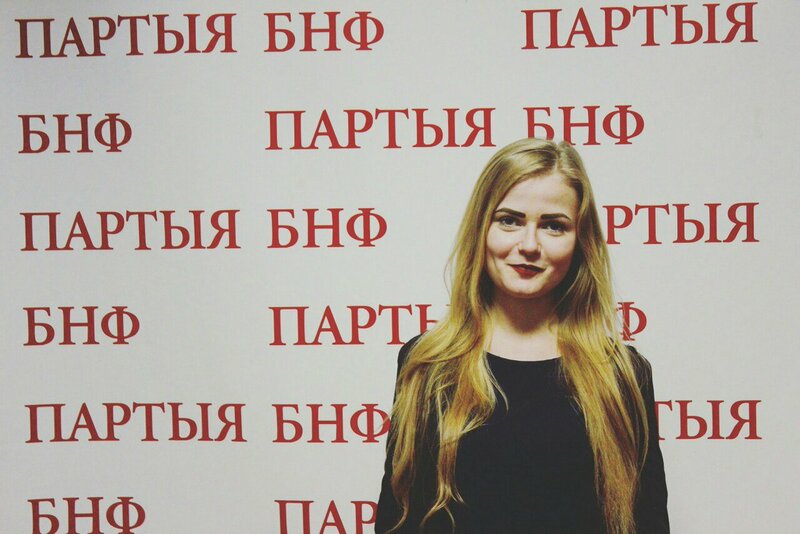 Hanna Smilevich, 18, became the leader of the BPF Youth on 24 December 2017. She was a second-year student of the BSU Institute of Journalism. BPF Youth Council considers Smilevich’s expulsion is politically motivated since she had no problems with her studies before heading BPF Youth. 10th contest of projects of Meeting Place: Dialogue program is organised by Vzaimoponimanie NGO together with EVZ Foundation. The competition aims to support projects in the interests of former prisoners of concentration camps and ghettos, people involved in forced labour and other victims of Nazi persecutions, as well as other people born before 9 May 1945. Deadline is 28 February. Absurd of the Month competition. The campaign in the national election observation Electby announces a competition to identify anything absurd in modern Belarusian reality. It can be any violations related to the current legislation or daily life, in a governmental entity or a public space. The massages should be sent by 10 February.